In this world of internet, people have a very short span to pay attention on everything moving round the internet. We are very distracted at the same time we possess zero patience. As a website owner, you can easily cater to a distracted audience simply providing them with a clean design and properly formatted web content that will easily draws the attention of the viewers. You can make it happen by navigating it on different pages or to fulfill the targeted or specific actions. How page speed checker works? Page speed checker is an important SEO tool which is used for making the website faster. This tool checks the page speed of the website and adjusts it for the system so that the webpage is loaded faster. This tool checks the speed of the webpage from each of the resources used i.e. time taken to load image text and every single item present on the webpage. Every user visiting the website wants the webpage to load faster; if it doesn’t happen then he switches to another website. So, this tool plays a vital role in making the website user friendly. Why you should use our online page speed checker tool? The page speed checker tool offered by Free SEO Tools is one of the most popular and commonly used tools by many website owners to improve the speed of their website. 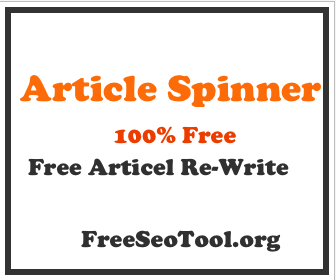 To use the FreeSeoTool page checker SEO Tool, a user needs to enter the details of the domain name and click on the submit button. The tool will calculate the exact time taken to load all the resources of the webpage and will also show the individual time taken by a resource to load. This tool will give a clear idea to the website owner, how much time is taken by a website to load all its contents. If the website owner is not satisfied with the time taken, then he can make changes in the webpage to improve the time. Every internet user wants the webpage to load fast; otherwise he will visit another webpage. A slow webpage speed can easily result in loss of visitors as they will switch to a. So, in order to maintain the customers you need a good webpage speed and to accomplish this purpose use page checker tool. After running the speed test, a user will get all the details of the time taken by the resources to load. There are several ways in which a user can control the extra time taken by a resource to load. Some of the most popular ways of improving the time speed are reducing the number of HTTP requests, reducing the size of the downloading objects such as cascading style sheets, images, java scripts, etc. Another useful tip for improving the time speed is to avoid page redirects. However there are certain situations in which page redirects can’t be avoided, in that case just make sure all the page redirects are not linked with the internal links. Connect the page redirects to the external links only in order to improve the time. These are some of the useful tips which can be used for improving the time taken by the resources to load. Without page speed test a user cannot determine the time taken by the webpage to load and hence can’t take any steps to improve it. So, use page checker tool for improving the webpage speed.